Advances in fireplace design and technology have made today’s wood-burning stoves more efficient than ever. Today’s fireplaces burn fuel more evenly, circulate heat more evenly, and are designed to prevent ambient heat loss. One of the main reasons for this shift is improvements in how well fireplaces can deliver natural convection heat transfer. How does natural convection relate to home heating? Convection refers to the process of cycling warm air through your home. A convection-style wood-fired heater – like our best-selling FALUN – creates warm air in the firebox, which is forced to rise and pushed out into the interior space. This process creates a natural vacuum that pulls cooler air from throughout your home into the firebox, where it’s warmed, and circulated back into the home. In the past, wood-burning stoves relied on radiant heat. You can think of this like campfire heat: The closer you are to the source, the warmer you feel. Unfortunately, the heat isn’t distributed very far; it can only reach areas of the home that have a direct line-of-sight. So your living room might be cosy, but your dining room, which is further and may be blocked by a wall, won’t receive much heat. Natural convection eliminates this problem. Cool air from your entire home is drawn into the chamber, warmed and returned to the environment. That’s why a wood-fired heater like the FALUN enables homeowners to heat much larger spaces. The FALUN has a heating capacity of 170-240 sm. Another disadvantage of radiant wood-fired heaters: They don’t create uniform ambient temperatures. The closer you are to the fireplace, the warmer you will feel. Natural convection more evenly heats the home; over time, as cool air is drawn into the convection chamber, heated and returned to the space, your home’s temperature will naturally rise. Natural convection, though, requires proper insulation and open doors for proper circulation. Leaky windows and doors and poorly sealed walls can reduce the effectiveness of natural convection heat transfer. Radiant wood stoves feel very hot to the touch. If you have small children in the home, that can be a potential hazard. Although FALUN heaters are not safe to touch, they are much cooler, which can reduce this potential problem. Natural convection heaters can also reduce fire risks to surrounding walls and surfaces. Finally, one of the key advantages of the FALUN system is its maximised efficiency. FALUN heaters burn wood more slowly and more completely. A FALUN heater, in effect, can reduce the amount of fuel you use by 60%. Additionally, heat bank inserts – refractory concrete panels – are available for the Falun. This helps to maximise efficiency because the heater provides natural convection and radiant heat. Let us help you warm your home this winter. 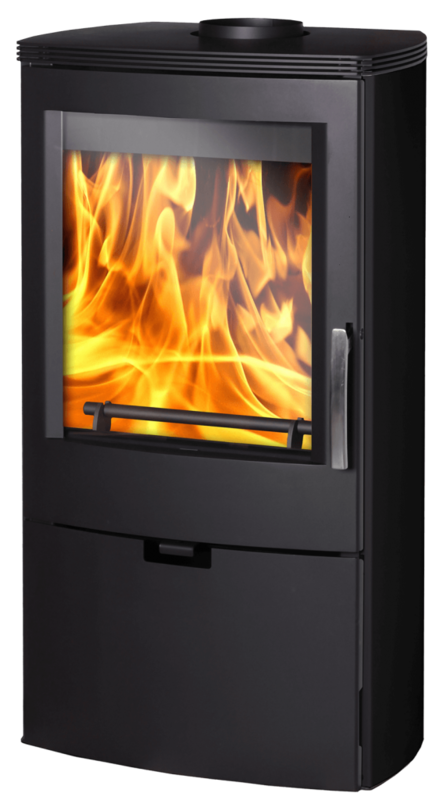 Euro Fireplaces supplies and installs high-efficiency, ultra-sleek European fireplaces throughout Australia.